Cyclocross is coming! Although both Josh and Chris are triathletes, and spend most of their time in that world, cyclocross beckons each year in August with promises of dust, dirt, mud, blood, and a frankly enjoyable brand of pain. It's a marvelous discipline, coupling the bike handling skills of mountain biking with the finesse and intensity of road racing. Toss in a dose of "totally bonkers" and you have the makings of an addictive pastime. To be sure, cyclocross in Oregon (and throughout the Pacific Northwest) thrives, with thousands of racers flocking to the Cross Crusade each and every fall. So it's fun, and people do it—great. What are the demands of the event from a fit perspective? Well, in cyclocross, power and balance are king. The ability to put power into the pedals and then effectively transmit that power to the rear wheel (a rear wheel hopefully attached to the ground) differentiates good 'cross racers from those that are fair. 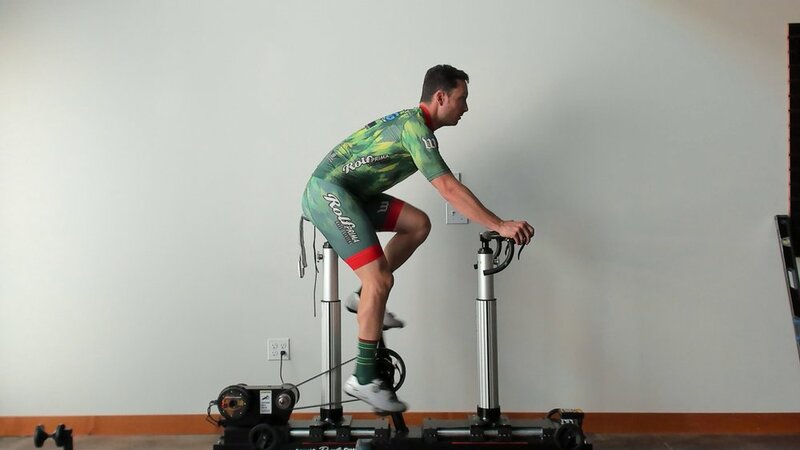 Aerodynamics are less important than road or triathlon/TT, so we can sacrifice being low to gain some power from being more upright. This also shifts weight towards the back of the bike, resulting in better traction and better handling while descending. At Output Speedlab, we believe in starting your 'cross fit from a good road fit. In the past, riders were sometimes told to get bikes that were a little smaller than they needed, in the assumption that A) they wouldn't be in the saddle too often and B) a smaller bike would be easier to handle and/or corner better. We don't agree. Your 'cross bike should be roughly the same frame size as your road bike. We realize that frame sizes aren't close to standard any more, which makes seeing a fitter before you purchase a 'cross bike even more important. lower the saddle a little bit. Doing so will make re-mounts a tiny bit easier, improve the handling of the bike, and facilitate the "floating on the saddle" position that 'cross riders maintain for most of their race. raise the front end, and bring it back towards the rider. A good 'cross position allows the racer to get down to the drops without dramatically closing his/her hip angle. Bringing up the front end and bringing it back towards the rider facilitates this. Tipping the hoods back towards the rider, sometimes as much as a 20% angle. I was once told that holding the hoods on a 'cross bike should be "like holding two miniature baseball bats." Figurative language always comes from the oddest sources, but it's an apt description. In Sean's road fit above, you can see how his hands point forward. Now, we'll look at the position we arrived at for his 'cross bike. You can see the hands are tipped up, and his back angle has steepened, to reflect the taller and closer front end. 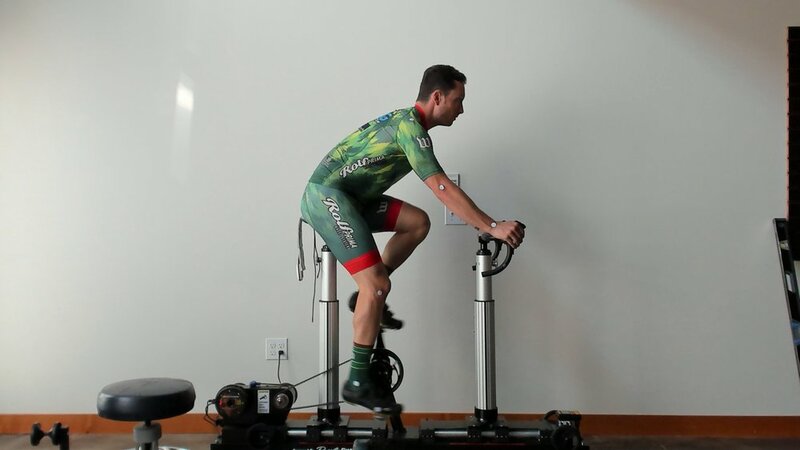 We also tipped Sean's saddle down a degree to -3.3 from -2.3, to facilitate the pelvic rotation we always look for, no matter what kind of bike we're fitting. I really like where we ended up. It looks like Sean is ready to pounce, whereas his road position has the relaxed attitude that any road position should have. 'Cross is about instant power generation and deft handling, and I believe we addressed that in our fit yesterday. And someday I'll remember to remove the stool from the final picture.